The 2018 Chinese Food Festival at the United Nations will be held on November 5-9, 2018, in the Delegates Dining Room at United Nations Headquarters in New York, a globally recognized location that sets an esteemed standard. The festival offers a unique opportunity to promote and heighten awareness of the rich culture, exquisite cuisine and millennia traditions from China to an international community that includes world leaders, ambassadors, delegates, UN staff and the general public, representing 193 countries of the world. In addition, it is an effective way to generate new business and build relationships to the festival sponsoring partners. As Organizer of the 2018 Chinese Food Festival at the United Nations, HHO cordially invites prospective partners to join us at this prestigious international event to showcase your company, to elevate your brand awareness, and to open up broader global market by tapping into the potential channels and resources the UN international community has to offer. For additional information please check out the link below. 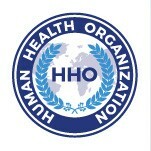 Since its establishment, the Human Health Organization has received a broad range of responses and support from various stakeholders of different sectors and fields. We especially appreciate the gracious support and assistance from entities in the UN System and organizations working towards the UN Development Goals.